providing personal attention to every customer is our service." East Coast Private Investigations is a full service investigations and security consulting firm based in Morristown, NJ. As private investigators we offer our clients reliable, professional, and expert services at reasonable rates. We can be available 24 hours a day, 7 days a week, and 365 days a year to serve the needs of our clients. Regardless of the service requested, we provide personal attention to each and every customer. Initial consultation free with no obligation. 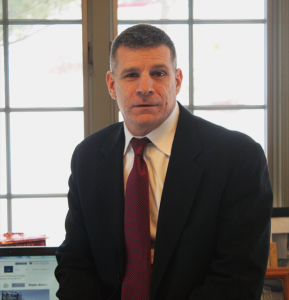 Joe Blaettler is the owner/operator of East Coast Private Investigations of New Jersey, LLC. ECPINJ is a full service private investigations firm located in Morristown, NJ serving all of New Jersey. We service all of Morris County and Somerset County to include: Bernardsville, Boonton, Boonton Township, Chester Borough, Chester Township, Denville, Dover, Mendham Borough, Mendham Township, Mine Hill, Morris, Morristown, Mount Arlington, Mountain Lakes, Netcong, Randolph, Rockaway Borough, Roxbury, Victory Gardens, Washington (Morris), and Wharton.